Excellent post taken from the excellent forums over at http://www.geekstoy.co.uk/idevaffiliate/idevaffiliate.php?id=4. Really does hit the nail on the head with this. Here is a little gem posted on the Betfair forums by marky sparky. Little out of date on the software front, but a very good read indeed. Step 1 – Unconscious Incompetence. 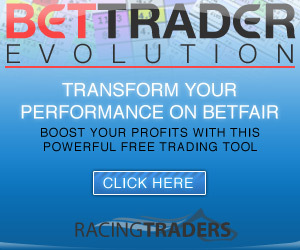 This is the first step you take when starting to look into trading on Betfair. You know that its a good way of making money because you’ve heard so many things about it and heard of so many people who make money. Unfortunately, just like when you first desire to drive a car you think it will be easy – after all, how hard can it be? haven’t got the first clue about what you’re trying to do. You take lots of trades and lots of risks. When you enter a trade it turns against you so you reverse and it turns again .. and again, and again. You may have initial success, and thats even worse – it tells your brain that this really is simple and you start to risk more money. This step can last for a week or two but learning the Betfair market is usually swift and it won’t be long before you move onto the next stage. Step two is where you realise that there is more work involved in trading and that you might actually have to work a few things out. You consciously realise that you are an incompetent trader – you don’t have the skills or the insight to turn a regular profit. You now set about buying systems and e-books galore, read websites and begin your search for the holy grail. During this time you will be a system nomad – you will flick from method to method day by day and week by week never sticking with one long enough to actually see if it does work. Every time you come upon a new tipster, software or trading guru you’ll be ecstatic that this is the one that will make all the difference. You will test out automated systems, use Excel triggered betting, dabble on Bet IE and maybe more Excel trading with Market Feeder. You might even look at support & resistance to try and figure out a likely range where you’ll be able to make a “safe” trade. You’ll consider trading software and may even analyse the market with BetMarket Scanner and a hundred other things all in the vein hope that your ‘magic system’ starts today. You’ll be a top and bottom picker, trying to find the exact point of reversal with your indicators and software and you’ll find yourself chasing losing trades and even adding to them because you are so sure you are right. You’ll go into the Betfair General Betting Forum and see other traders saying they make a profit and you want to know why it’s not you – you’ll ask a million questions, some of which are so dumb that looking back you feel a bit silly. You’ll then reach the point where you think all the ones who are calling profits are liars – they can’t be making that amount because you’ve studied, noted form and you don’t make that, you know as much as they do and they must be lying. Here’s the reality, most real successful traders aren’t in forums such as this. You will be like a teenager – the traders that say they make money will freely give you advice but you’re stubborn and think that you know best – you take no notice and overtrade your account even though everyone says you are mad to – but you know better. You’ll consider following the tips that others make but even then it won’t work so you try paying for trading courses from someone else – they don’t work for you either. You might even approach a ‘guru’ or someone on a forum like this who promises to make you into a trader (usually for a fee of course). Whether the guru is good or not you won’t win because there is no replacement for screen time and you still think you know best. This step can last ages and ages – in fact and in reality talking with other traders as well as personal experience confirms that it can easily last well over a year. If your bank doesn’t blow up in the meantime. This is also the step when you are most likely to give up through sheer frustration. Around 60% of new traders die out in the first 3 months – they give up and this is good – think about it – if trading was easy we would all be millionaires. Another 20% keep going for a year and then in desperation take risks guaranteed to blow their account which of course it does. What may surprise you is that of the remaining 20% all of them will last around 3 years – and they will think they are safe in the water – but even at 3 years only a further 5-10% will continue and go on to actually make money consistently. By the way – they are real figures in another market which may not apply to Betfair. They are not just some I’ve picked out of my head – so when you get to 3 years in the game don’t think its plain sailing from there. IMO the timeframes referred to can be condensed for Betfair and I’d like other views on this. I’ve had many people argue with me about these timescales – funny enough none of them have been trading for more than 3 years. Sure, I guess there will be exceptions to the rule – but I haven’t met any yet. One day – in a split second moment you will enter stage 3. That is the Eureka Moment. Towards the end of stage two you begin to realise that it’s not the system that is making the difference. You realise that it’s actually possible to make money with a simple moving average and nothing else IF you can get your head and money management right. You start to read books on the psychology of trading and identify with the characters portrayed in those books and finally comes the eureka moment. The eureka moment causes a new connection to be made in your brain. You suddenly realise that neither you, nor anyone else can accurately predict what the market will do in the next ten seconds, never mind the next 20 mins. You start to work just one system that you mould to your own way of trading, you’re starting to get happy and you define your risk threshold. You start to take every trade that your ‘edge’ shows has a good probability of winning with. When the trade turns bad you don’t get angry or even because you know in your head that as you couldn’t possibly predict it it isn’t your fault – as soon as you realise that the trade is bad you close it . The next trade will have higher odds of success because you know your system works. You have realised in an instant that the trading game is about one thing – consistency of your ‘edge’ and your discipline to take all the trades no matter what as you know the probabilities stack in your favour. You learn about proper money management and leverage – risk of account etc – and this time it actually soaks in and you think back to those who advised the same thing a year ago with a smile. You weren’t ready then, but you are now. The eureka moment came the moment that you truly accepted that you cannot predict the market. You are now at a point where you break even most of the time – day in day out, you will have weeks where you make 100 ticks and weeks where you lose 100 ticks – generally you are breaking even and not losing money. You are now conscious of the fact that you are making calls that are generally good and you are getting respect from other traders. You still have to work at it and think about your trades but as this continues you begin to make more money than you lose consistently. This lasts about 6 months. Now we’re cooking – just like driving a car, every day you get in your seat and trade – you do everything now on an unconscious level. You are running on autopilot. You start to pick the really big trades and getting 100 ticks in a day is becoming quite normal to you. This is trading utopia – you have mastered your emotions and you are now a trader with a rapidly growing account. You’re a star on the Betfair forum and people listen to what you say. You recognise yourself in their questions from about two years ago. You pass on your advice but you know most of it is futile because they’re teenagers – some of them will get to where you are – some will do it fast and others will be slower – literally dozens and dozens will never get past stage two, but a few will. Trading is no longer exciting – in fact it’s probably boring you to bits – like everything in life when you get good at it or do it for your job – it gets boring – you’re doing your job and that’s that.